Motoreducer with brushless motor and integrated electronics. Application: Door opening of BD100 (Bombardier). Functions: Motoreducer to open the door and electrical damper function for the door. Motoreducer with brushless motor and integrated electronics. 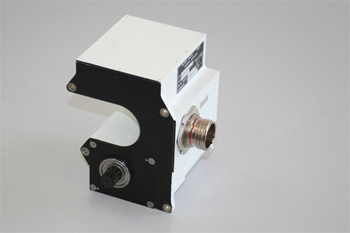 Functions: Motoreducer to open the aircraft door and electrical damper function when the door is falling down.